Building courageous leaders, compassionate teammates, and high achievers. Our students compete on thirty varsity sport teams under the guidance of dedicated coaches. We believe that the valuable lessons learned through athletics will prepare our student-athletes for all of life’s challenges. In pursuing athletic excellence, coaches focus on team success while building young women and men of good character. Working together and creating an optimal team environment is a priority for our students, coaches, and administrators. Our state-of-the-art athletics facilities are unrivaled. Completed in 2008, the Dixon Athletic Center hosts a six-lane pool, 4,000 square foot fitness center, 10 glass-walled squash courts with a spectator arcade, a full-size competition gym with seating for 1,200 and an 18,000 square foot field house, a dance studio, wrestling room, and more. In addition, the Episcopal campus offers nine athletics fields, 14 tennis courts, and a tennis pavilion. The Episcopal Academy offers a wide range of athletic opportunities to attract maximum participation, empower teams to compete at the highest level of play, and encourage individual and team excellence. In addition, we offer junior varsity and 3rd team levels as well as a comprehensive weight training and fitness option. This broad-based program serves to develop athletic talent and promote values of commitment, hard work and integrity. We invite you to visit our campus to experience firsthand the electric atmosphere created by our student athletes and coaches engaged in a variety of athletic endeavors! "The lessons you learn in athletics can serve you well in life. Accept challenges, face adversity, be a great teammate, be a leader, play hard, work hard, and have fun doing so." 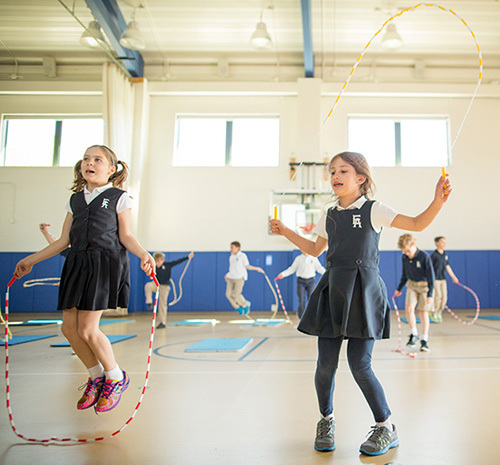 At The Episcopal Academy, students of every age are empowered to lead healthy lifestyles through a variety of athletic offerings. Explore our program for yourself on the tabs below, or visit our individual teams' pages to learn more about each sport. 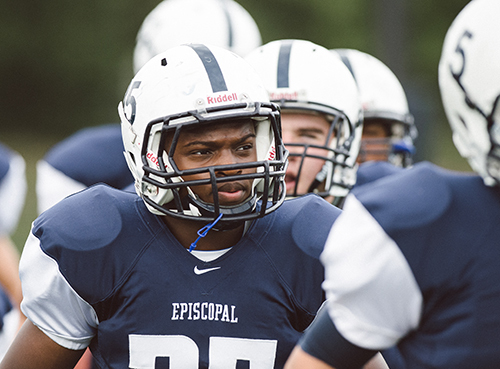 Every Episcopal student experiences the immeasurable benefits of sustained team effort. Our athletic program offers students 30 varsity sports and our scholar-athletes compete at the highest levels. Over the past five years, Episcopal has produced Academic All-Americans, All-Americans, and national, state, regional, and Inter-Academic League champions. Nearly one-third of our seniors each year are recruited by colleges for inter-collegiate athletics and several have gone on to represent the United States in the Olympics and Pan American games. Others have captained college teams, competed in NCAA championship tournaments, and played professionally. All children need an outlet physically, mentally and socially. A Physical Education program should satisfy these needs. It is important that a child be exposed to a vast number of activities, such as sports and games. This will enhance fitness and athletic ability, captivating the child’s self esteem. This will promote a life containing sports and fitness as a daily event. The Physical Education program emphasizes sportsmanship and respect toward classmates, and the ability to interact with their peers. This skill will socially and mentally help them in their maturation. Overall, the Physical Education program should cater to the needs of all students, guiding them to a better themselves in all areas of physical and athletic ability. Each child should possess body awareness and the ability to move in space comfortably. Finally, a successful program is one in which all children will be enthusiastic and happy motivating them to return to class. In this way, the instructor plays an intricate role in developing the “whole self” through educating the mind and body. The mission of The Episcopal Academy Strength and Conditioning program is to significantly augment athletic ability through increasing total body strength, power production, the ability to change direction, joint range of motion, and injury-preventative practices. EA Strength and Conditioning uses the latest research-driven tools to help student-athletes and members of the EA community not only achieve their goals, but learn how to live better lives. All efforts will be made to continually enhance the EA weight room, programming, and overall ability to help EA athletics improve each year. For more information, contact Director of Strength and Conditioning Steven Musacchio at 484-424-1548 or smusacchio@episcopalacademy.org. The Episcopal Academy is known for its dominant athletic program. Learn more about our interscholastic championships, alumni playing in college, and state-of-the-art facilities.